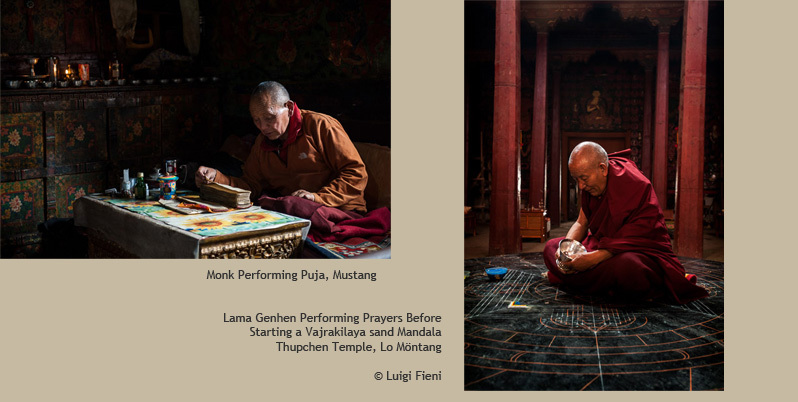 Luigi Fieni has photographed landscapes, culture, and the cultural heritage of the Himalayas for nearly two decades, while working as a conservator of Tibetan art. He started his career as an art conservator in 1999, assisting in a prestigious project in the Himalayan region. As lead conservator he has worked mainly in Nepal, Bhutan, and China, restoring ancient Buddhist art and training local people to preserve their own cultural heritage. His work as a conservator of Tibetan art has been featured in many major newspapers and magazines worldwide, including The New York Times, The Guardian, The Herald Tribune, The Washington Post, The National Geographic Magazine, and Geo Magazine.